I have heard a lot about this book over the past few months with so many people saying it was one of their favourite books of the year. So I was really pleased when I won a copy in a Twitter competition run by @thebooktrailer (a great account for book lovers to follow by the way). And I was not disappointed, now joining many others in saying this is one of my top 5 books of this year. I don’t know about Letters to the Lost, but I was totally lost in this beautiful heart-breaking love story. 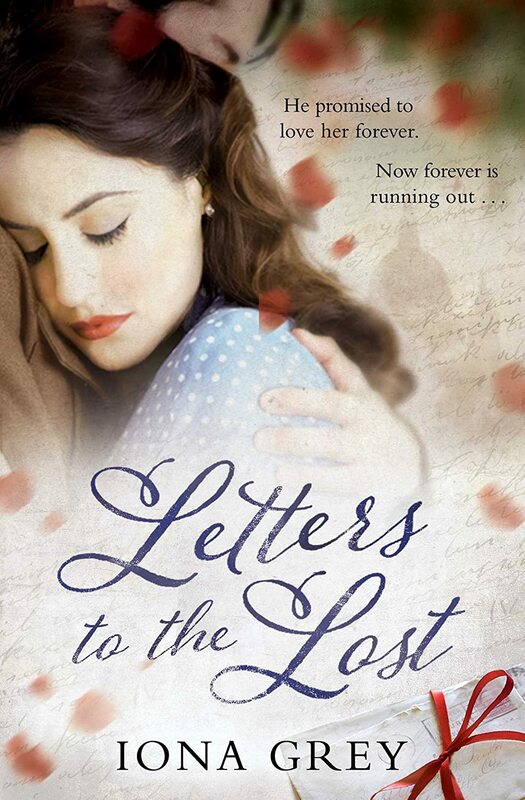 This ticks all the boxes for books I know I’ll enjoy before I even start: a passionate love story, wartime setting, dual time frame and a story told through letters. Iona Grey has written a beautifully emotional novel, intertwining Stella and Dan’s story in World War 2 effortlessly with Jess and Will’s story in 2011. My heart went out to Stella, trapped in a loveless marriage to a cold-hearted vicar with his own secrets when all she had ever wanted was a home and a family of her own to look after. She wanted a house full of love and she certainly didn’t have that in the vicarage. When by chance she meets Dan, an American airman, it is not surprising that love blossoms between them, despite the seeming impossibility of their situation. And what to say about Dan? Well, I think I fell a little bit in love with the wonderful, loving, courageous Dan myself! Their deeply felt love and passion permeates the book. So what has happened to separate them? In the present, Jess and Will are both lost in their own ways. Jess is running from an abusive relationship and finding herself homeless, breaks into an empty house where she finds Dan’s letter to his ‘darling girl’ Stella. Will is an heir hunter and very much the black sheep of his successful family. He too is searching for the owner of the house. I loved reading about how the friendship between them grew as they both felt compelled to find out what happened to Stella and try to reunite her with Dan if that’s possible. And oh, the letters were just beautiful. I think we miss so much in these days of email and instant communication. Yes, you can re-read messages but it’s not the same as being able to read and hold the words written by someone you love and imagine them putting pen to paper. Only Dan’s letters to Stella are in the book and he is so passionately in love with her you can almost feel the emotion reaching out and wrapping round you. You can easily read between the lines to imagine what Stella has been writing and what else has been going on in their lives. Letters to the Lost is about people finding themselves. Stella and Dan finding themselves and each other in wartime, Jess finding her own sense of worth and self-confidence, Will finding his own place in the world not dependant on his family’s values. But above all it is a beautiful, emotional, romantic, heartbreaking but ultimately uplifting story. Seventy years later Dan makes one final attempt to find the girl he has never forgotten, and sends a letter to the house where they shared a brief yet perfect happiness. But Stella has gone, and the letter is opened by Jess, a young girl hiding from problems of her own. And as Jess reads Dan’s words, she is captivated by the story of a love affair that burned so bright and dimmed too soon. Can she help Dan find Stella before it is too late?